I want to be honest. I've only eaten Wagyu beef ONCE. Yes, only ONCE - and it was never repeated - why? Because it was too darn expensive. When I went to Tokyo last year, it never dawned on me to have a Wagyu meal. It was only when I got back to Manila, that I realized - I was already in Japan, it was semi stupid of me not to remember! Well, I blame the epidurals that I've had! Haha.. So last week, we were in Osaka. A friend of mine had told me to try this place called Matsusakagyu Yakiniku M Restaurant. She said it wasn't to be missed. A few days after, I get a text message from my Panget informing me that we should also have a meal at that particular restaurant. Apparently, one of his basketball friends recommended it too. Then a few days before we left, I saw on my wedding photog's FB feed that he went there too. I messaged him and he also HIGHLY recommended that we eat there. I called Kuni-San late in the afternoon, it was a sudden decision to eat there last Monday. I knew it was last minute and I was prepared that he would refuse our reservation - but instead, he welcome us. He told us to meet at the corner of the Starbucks along Dotonbori. And he was prompt! :) He led us to his popular restaurant. The walk was very nice and scenic! Hahaha.. We passed through alleys that I won't normally pass through! When we reached M Restaurant, we were led into a small booth that fit all 5 of us (3adults and 2 kids) perfectly! Within minutes, we were introduced the menu - it was so refereshing to hear english being spoken. It's as if they read our minds! Our lovely lady server explained to us each meat and pointed at the pictures. There were sets being served and she recommended this to us. My Panget didn't skip a beat and immediately ordered the all meat set (without the dessert and soup) he declared that he'd like to appreciate the meat instead of having dessert, appetizers and soups! Hahaha.. GUTOM. Kuni-San explained to us one by one what the meats were - which parts the certain cuts were taken from. He then started to grill the meat for us - and we tasted it. It was LOVE at first bite, I mean LITERALLY. I was bowled over - I mean seriously bowled over! My Panget was the same. We looked at each other after biting into the meat - we agreed that it was the BEST beef that we have tasted in our lives. It just got better from there. Every single beef piece tasted oh so wonderful. There was a perfect combination the meat and fat. We appreciated the marbling very much - it was simply perfect, the taste, the texture and the service. The kids LOVED it too! Alleya, my goddaughter was enjoying the meats so much she was telling her mom to hurry in cutting up the meats! Haha.. It was a sight to see her enjoy the dinner, most especially the beef! Kailee enjoyed the dinner too!! She said she liked the meats! Yes, we're starting them young, Hahahaha!! 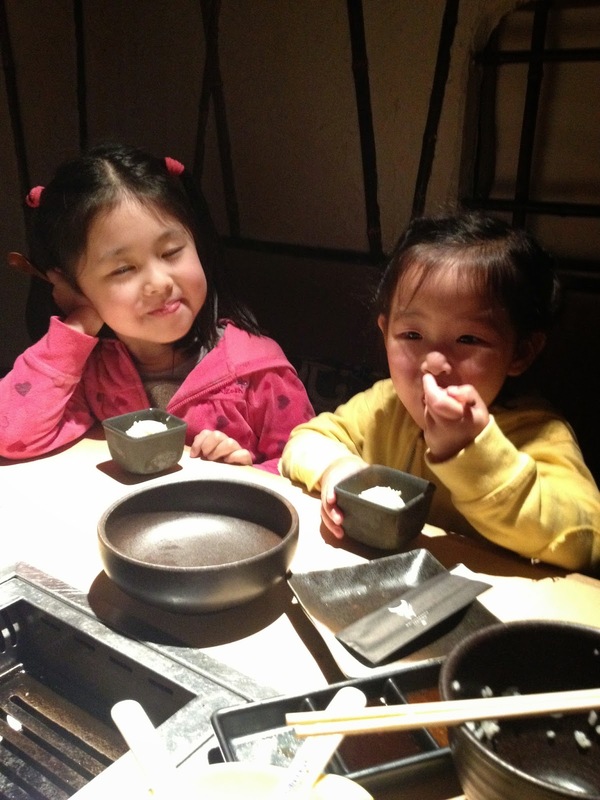 Kuni-San was nice enough to give the kids a scoop of yummy vanilla ice cream each! Look how happy the kids are! Be prepared to spend on this restaurant, but I assure you - it is WORTH it. Like they say - When in Rome, do what the Romans, do - and we did just that! Thank you Kuni-San and Matsusakagyu Yakiniku Restaurant! 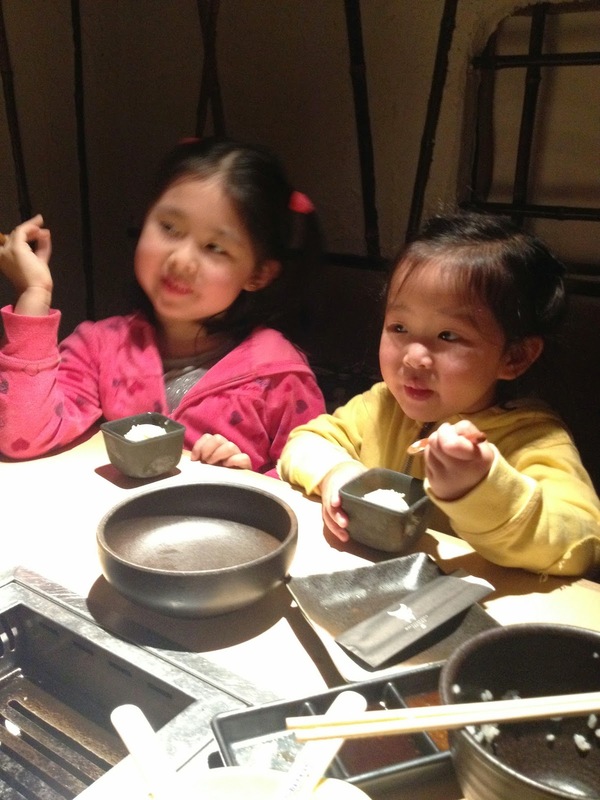 We had our BEST meal in Osaka in your restaurant! Thank you for sharing your dishes to us and making our bellies very happy!! Shobe! Ang wagyu experience ko nga here in Manila was okay. But in Osaka - it was WOW! Ibang level shobe!! But also be prepared to pay ha.. Its not cheap e..